Today in Paris France thousands of people from across the globe rallied against the recent terrorist attacks and murders that began in a big way with the mayhem perpetrated upon the offices of a radical French publication and its political cartoons. Placards with Je Suis Charlie and Liberte were held up in the streets of Paris today in solidarity with the concept of freedom of expression which the victims were exercising via publication of satiric cartoons spoofing Islam. This morning American news broadcasts and other sources focused upon the Rally in Paris and the "historic" gathering of world leaders, hypocrites though they be. How opportunistic that world chuckleheads...er, I mean, leaders...positioned themselves at the head of the massive crowd of marchers while posing for the cameras in their black garb! Especially since many if not all of these same leaders and others before them have thrown journalists in prison for exercising their right to free speech. Mais oui, it's all happening today in Grand Orient Paris, City of Light--and underground City of Skulls (see link to creepiness at end of this post). 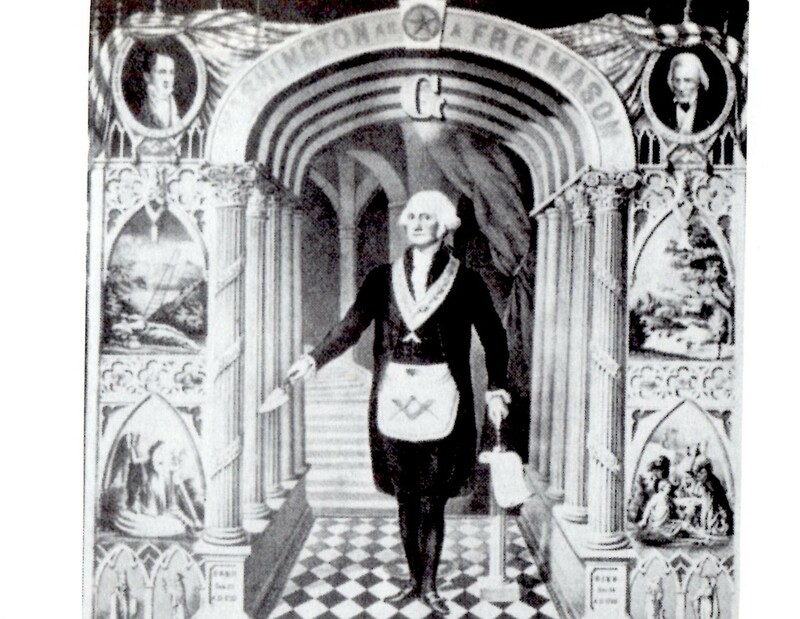 Back in the days of the French Revolution, Robespierre and his cohorts thought they would establish a 'new order' with France at its head--a 'Rational' State based on the Enlightenment principles of Uranus-Neptune (sans God) with the bloody guillotine at its ready disposal and aimed at the heads of all who disagreed. Has France's Reign of Terror ended or has a new phase now begun? Well, today's Rally in Paris, the attacks that inspired it, and other recent events fall under the auspices of the last lunation, the January 4/5, 2015 Full Moon @14Can3---conjunct Egypt's favorite star, Isis goddess Sirius. The January Full Moon also triggered US natal Sun (the president) and it's of interest that during this morning's broadcast concerning the Paris Unity Rally, it was announced that President Obama (who is not in Paris today but Abbas, Netanyahu, Cameron, Merkel, and several other leading chuckleheads of the monarchical bloodline persuasion are) has called for a "Security" Summit of global leaders to be held at the White House on February 18, 2015--the day of a Pisces New Moon and what the Vatican calls an 'Ash Wednesday'. Yes, global leaders (signified by Jupiter Rx leading a Locomotive pattern) placed themselves at the head of thousands of marchers today yet Jupiter is unaspected, suggesting their complete detachment from the public and our concerns as they gathered for this weirdly stage-managed photo op--as if Merkel and her crew are really part of the event rather than mere opportunists. And we must mention the 6th exact Cardinal Square between Uranus and Pluto on December 15, 2014 and the generational clashes and power struggles it's brought to the world as the ancient regime of Pluto attempts to block upstart Uranus, planet of a New Age. Their last exact square is on March 16, 2015 and we must hope that social stalemates can simmer down a bit as 2015 proceeds though the serious effects upon everyone's Civil Rights lie in the balance. The Summit will already have begun in Washington DC when, in the midst of lunar darkness, the Feb 18th New Moon perfects at 6:47:13 pm EST during a Solar Hour with 12Vir34 rising, a 6th house Neptune @6Pis59 as the chart's final dispositor (says SolarFire v9), a 6th house New Moon @29AQ59 (anxious to reach the depths of murky Pisces--squared by Saturn and reaching for Neptune's veil), and Jupiter Rx @16Leo02 in the 12th house of Politics, Karma, and Self-Undoing. 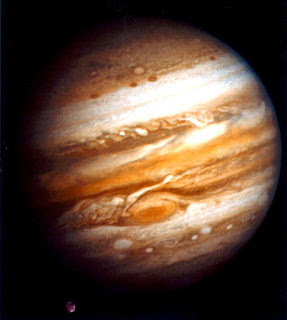 Financial planet Jupiter Rx is the handle of a Bucket pattern and as such, links the hemispheres of the chart together with cautious preparedness his aim. Leo is, as you know, the royal sign of the 'natural ruler' though until April 8, 2015, Jupiter will regress toward President Obama's natal Sun once again so perhaps we should consider this Bucket handle Jupiter to represent Mr. Obama since the Security Summit will be held at the White House. He will be using the physical assets of the White house to appear more attractive to the Summit's attendees (Mercury-Venus = Sun) with an increased sensitivity to the desires of others (Mercury-Venus = Moon) though one wonders with asteroids Sappho and intoxicated Bacchus conjoining quirky Uranus in the 8th house of Sexual Relations! Will some of the Summit's shady doings under cover of a darkened Moon involve drunken drugged-out orgies? If so, then...peep-eye! Of course, this trio in 8th house could just as easily be seen as practicing a delirious pagan ritual in honor of an ancient goddess, couldn't it? 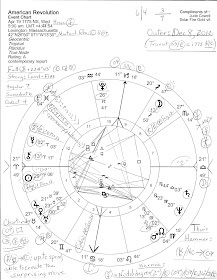 Another chart factor in relation to Jupiter is trickster Pan and wealthy Midas both Rx and conjunct Midheaven (The Goal Point) which falls at 10Gem01 so the Virgo Ascendant elects Mercury, planet of meetings, discussions, communications, crossroads, trade, and speeches, as chart-ruler (and MC-ruler) so we may expect the financial aspects of circumstances to involve the usual fraud and trickery (fraudulent Neptune as Final Dispositor, instigator Mars--at a critical-crisis 29th degree and about to join his own Aries Point--ruling the New Moon's corporate 8th house of Transformation with disruptive, zealous, new-agey anarchist Uranus in Aries therein. Speedy traveler Mercury @4AQ05 (in 5th house of Risk-Taking and Speculation) closely sextiles Saturn @4Sag27 (in 3rd house of Communications), the Manager and Task-Bringer, and their near-exact sextile, the only applying aspect made by chart-ruler Mercury (0A22), offers clues about the underlying purpose/s of the White House "Security" Summit of global leaders, plus, with both planets at 4 degrees of their signs, we may say there are fated undertones to this "home grown terrorists" discussion during the February 18th "Summit on Countering Violent Extremism" (translation: suppressing all opposition to Global Government implementation by Global Police and Military Forces). So what might Mercury sextile (60 degrees) Saturn intend to say and do during Security Summit 2015? Here is a list of potentials: issue warnings which may or may not be listened to, set priorities, manage resources, explain guidelines and rules, and organize expressions of discontent (of the group and/or of the masses). This sextile also indicates that conflicts and bickering may erupt among the chuckleheads in attendance. Let me add that my above remark about attendees of a 'monarchical bloodline persuasion' is based in part on Mercury's rounded-up Sabian Symbol for '5AQ": "A Council of Ancestors" which aptly describes the February 18th Summit, imho, especially since even modern world leaders' descendancy from a certain bloodline has been recorded and includes despots like Alfred and Alexander the Greats, Charlemagne, William the Conqueror, pharoahs such as Cleopatra (natal chart shown), French, German, British and other monarchical families including Queen Elizabeth II, PM David Cameron--in America, George Washington (a Star family descendant), Thomas Jefferson, John Adams (a Dragon family descendant), the Roosevelts, the Bushs, Bill 'Clinton', the Rockefellers, Barack Obama, and others you may think to name. Oh and btw: New Moon Mercury conjoins America's natal South Node which denotes the karma of past behavior the US government so often depends upon to deal with current problems while expecting different results--though I suspect that all governments prefer expectable results from their actions and don't really want 'different' outcomes at all. Related articles include: Secretary of Homeland Security Jeh Johnson's remarks to the CFR concerning domestic terrorism and "suspicious individuals" and such on September 10, 2014; 3 quotes from Thomas Jefferson on newspapers and despots ; and, a previous posting of the Republic of France horoscope of 1792 in the midst of the country's Reign of Terror days and just after the discovery of revolutionary Uranus. Being adventurous, you may also wish to see 9 Creepy Things you Should Know about Paris.